Unmanned aerial vehicles, more commonly called drones, are now infamous for their surveillance capabilities, but they have so much more potential than that, and it would be a disservice to dismiss them as “outright evil.” Like most tools, the usefulness of a drone depends on who’s in control. There are dozens of modern examples that show how drones can be used to improve everyday life. If we extrapolate these applications into the next few years, perhaps we’ll see a future where everyone benefits. The logistics of emergency response When Disaster Strikes: Putting Together A Basic Emergency Toolkit When Disaster Strikes: Putting Together A Basic Emergency Toolkit Read More are often muddled by physical factors. It’s never easy to search for survivors in cases like flooding, wildfires, or nuclear fallout, particularly because these types of emergency situations require aid workers to put their own lives at risk. Adoption of drone technology could be a step towards putting that behind us. Drones can be built to withstand extreme temperatures and radiation, plus aerial cameras can provide better perspectives when searching for victims in areas of low visibility or lots of debris. The chief advantage of drones is their maneuverability. They can be built small enough to make space a non-issue, allowing them the ability to fly through tight locations that might otherwise be out of reach for humans. Attach a camera to one of these drones and suddenly we’re able to capture moments and scenarios that we’ve never seen before. Wildlife documentarians are known to chase specific animals for months on end for the opportunity to catch amazing shots like the one above. Not only can observation impact the filming process (e.g. animals running away when alerted of human presence), but the process itself can be quite dangerous. Drones are also useful for monitoring environmental details that are beyond our reach. For example, NASA has already sent a test drone into the atmosphere to examine the interactions between water vapor and the ozone layer. In the future, scientists may even be able to send drones down into the depths of the earth where no man has ever been. 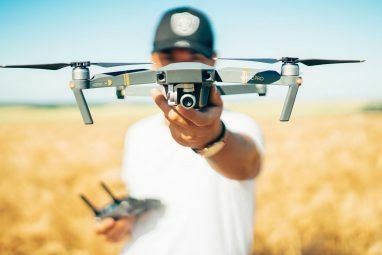 Last year, the University of Missouri Journalism School began teaching students how to pilot and operate drones for information gathering purposes. Potential applications for this include crime scenes, natural disasters, and other hard-to-film events. These journalism robots, which are nicknamed J-bots, are expected to rise in popularity once the American ban on drone use in populated areas is lifted, which could happen as early as 2015. “We have a class here of journalism students who are learning to fly J-bots, for journalism robots, or drones,” said William Allen, a professor of journalism who pioneered the course. “So they learn to fly them, and also do what reporters do: brainstorm ideas, go out and do reporting, do drone based photography and video. We’re trying to see if this is going to be useful for journalism,” he said. That brings up another big idea: aerial photography for sports. The GoPro camera 7 Videos That Will Make You Want a GoPro Camera [Stuff to Watch] 7 Videos That Will Make You Want a GoPro Camera [Stuff to Watch] Clever marketing goes beyond memorable advertising when it demonstrates exactly what you are missing out on by not owning a product. I'm not usually a sucker for advertising, preferring instead to make my own mind... Read More has been great for first-person perspectives, but nothing can match the extreme up-in-the-air angles made possible by drones — the kind of angles that aren’t even possible with current airplanes and helicopters. When Amazon announced plans to develop package-delivering drones Amazon Delivery Drones, Facebook Hack, Kindle Fire Vs iPad Air [Tech News Digest] Amazon Delivery Drones, Facebook Hack, Kindle Fire Vs iPad Air [Tech News Digest] Amazon aerial drones, Facebook friends list hack, Google Nexus handsets vulnerability discovered, Black Friday numbers are released, Steam introduces user reviews, and the Kindle Fire HDX is compared favorably to the iPad Air. Read More last year, people went nuts. Not a year later, we asked our readers how they would react if they saw a drone hovering over their property, and most replied by saying they’d shoot it down. 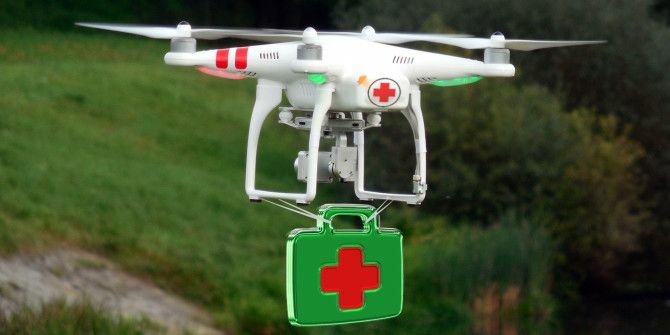 Perhaps the world isn’t ready for drone deliveries just yet, but the shipping industry is just one of many industries 7 Industries Drones Are Set to Revolutionize 7 Industries Drones Are Set to Revolutionize Seven industries that are ready and braced to be (mostly positively) impacted – if not revolutionized – by drones. Read More that could see boosts in efficiency as drones become more widely adopted. Imagine a world where you could order an item online and have it delivered to your door in under thirty minutes. And then there’s Russia, where an Asian restaurant employed drones for marketing purposes. 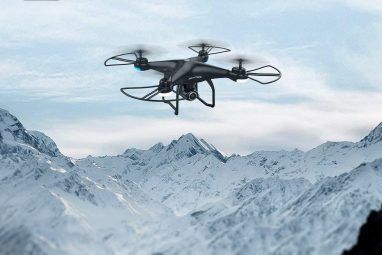 These drones, which were equipped with advertisement fliers, were flown around the city of Moscow and displayed their ads to office workers just before lunch hour. Due to its apparent success, this “drone-vertising” tactic may become a new trend for Russian marketers. Drones also have entertainment value. Their destructive properties can be channeled in such a way that allows humans to compete in combat without directly harming one another. Some groups have already started looking to “drone combat” as a sporting event. At this year’s Maker Faire, an event that celebrates self-made projects of all kinds, several drones entered a makeshift arena and fought until there was only one left standing (or flying, as it were). Take a look and see for yourself. Obviously, it’s a bit rough around the edges in its current form and not entirely exciting to watch. However, if this idea continues down the road for another decade or two, who knows what might come out of it? Could drones replace humans 6 Human Jobs That Computers Will Never Replace 6 Human Jobs That Computers Will Never Replace Read More as our source of sports entertainment? While drones have been used in horrifying ways (e.g. missile strikes and privacy breaches), the above examples are proof enough that drones aren’t inherently bad or dangerous. If we can direct drone development in a productive direction, the benefits may be more than worth it. How do you feel about drones? Should we embrace them or suppress them? Do you think they’ll make a big impact or will they fizzle out without much consequence? Tell us what you think in the comments below! Explore more about: Drone Technology, Robotics. 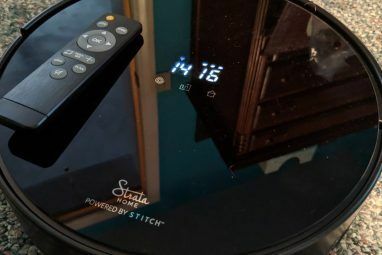 Amazon Tests a Delivery Robot Called ScoutWill 3D Printed Food Remove Humans From The Kitchen? Nothing on the most obvious uses? Saving human lives is of course important, but so is stopping crime and preventing situations that pose danger in the first place. Drones could be used in military applications out in the field, much as the larger predator drones are now, but more on a street level. Same deal with law enforcement. Standoffs could tilt in favor of police or SWAT by using drones to get into areas deemed unsafe. Hey Jerry, thanks for bringing that up. "Drones as surveillance" was almost TOO obvious to include in this list, so that's why I left it out, but you're absolutely right. If drones aren't incorporated into law enforcement to some degree in the next decade, I'll eat my socks!